I’m not sure if I saw any of the Nixon-Kennedy debates in 1960. My fifteenth birthday was November 2ND, seven days before the election. I must have seen Kennedy is some favorable exposure, because when we took a straw poll at Agassiz Junior High School in Fargo, North Dakota, I was very happy to mark my “ballot” for JFK. Just a few years earlier, my mother and I were really caught up in the “I Like Ike” frenzy of Post-War America. My support button for Eisenhower seemed to cover half my chest. After my junior year in high school, I traveled to a foster home in Utah. We definitely didn’t have a television there. It was a small farm and there was lots to do. I met my first girlfriend. I sort-of applied myself to my classwork, and my grades soared compared to those I had received in Fargo. But Kennedy was a part of my life. I tried to copy his hair style. I copied his voice. 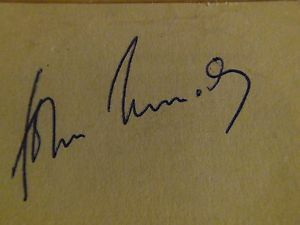 I even studied his signature, and practiced for hours trying to mess up my own signature so it looked half as good as his simple scrawl. Their went my “A” from the Palmer Method handwriting class I had taken! November 22, 1963. We were in Geometry class when the news started being piped in through the classroom loudspeakers. Everything stopped. Everything. As the horrible final announcement came, “President Kennedy is dead,” we all moved to the gymnasium. Maybe for group support, but more likely as a staging area for early dismissal – it would have been only about 10:30. Somehow, I convinced the principal, Max Golliher, to let me turn the flag upside down. While the nation was certainly in distress, that mistake didn’t last too long until reason prevailed and the flag was put at half-staff. Then I walked a few blocks to the small house where I had a room. I had moved off the farm and into town for my last few months of school. The landlady had a television, and I was glued to that screen. I took pictures of the funeral procession and a few other televised events. I doubt I took a picture of the Oswald assassination – that caught us all by surprise. My landlady had enough. She asked me to leave. Fortunately, I found a room in a small hotel not too far from the school, and I spent my last few weeks typing up term papers. Due to a mix up in grades, although I officially graduated in May of 1963, I had returned for a few classes that fall. I left Utah December 13, 1963. My mother and I ended up being reunited in LaCrosse, Wisconsin. 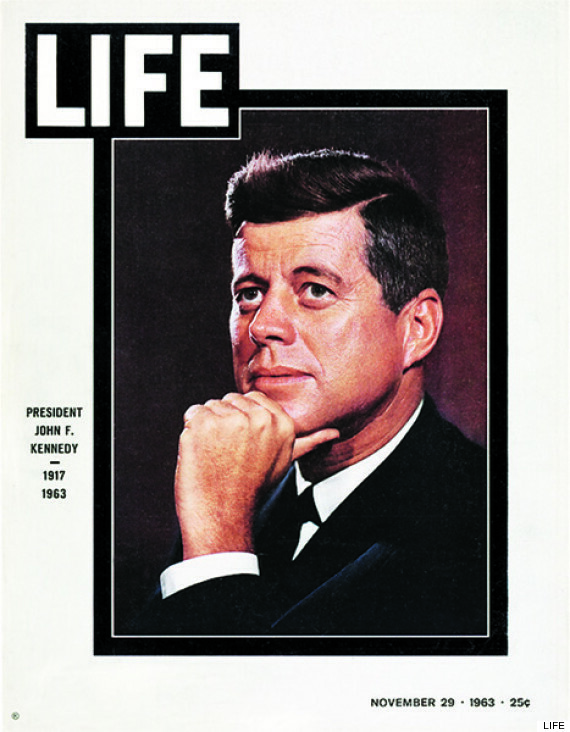 Among other things, I started gathering Kennedy collectables – newspapers, magazines, and a condensed version of the Warren Report. A few years later, I learned everyone and their cousin had been doing the same, so I got rid of all that stuff. All the souvenirs went.